First time buying? 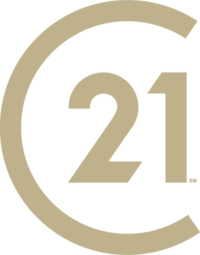 – Century 21 Lakeside Realty Ltd. So you’ve decided to take the big leap and purchase your first home. Congratulations! Buying a home is never based on one specific factor; instead, it is a balance of many requirements – things like family size, location, income and lifestyle. The first thing you need to do is decide exactly what you need in a home. How many bedrooms? How close to schools or shopping? Do you need a garage or finished basement? The answers to these kind of questions can make up your “buying blueprint” that will serve as a guideline in your search. Most of us have a “dream home” tucked away in the back of our minds. How about a little reality check before you go looking for that dream? What if all the money you had went into the purchase and mortgage payments for that wonderful home, so there was nothing left over for repairs, a night out, vacations, new furniture or any of the little things that go wrong from time to time? When that happens, your dream suddenly becomes a nightmare; being over-extended financially is the quickest way to destroy the excitement of home ownership and add stress to your life.